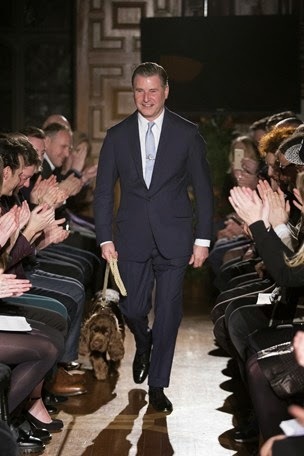 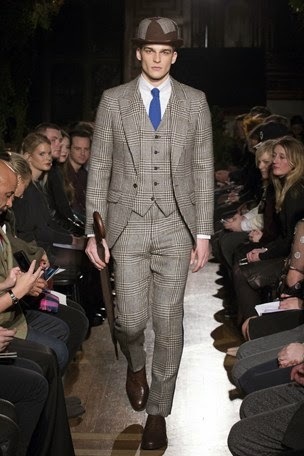 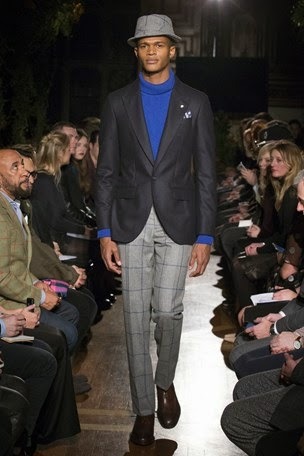 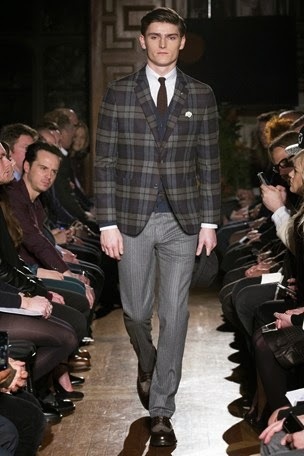 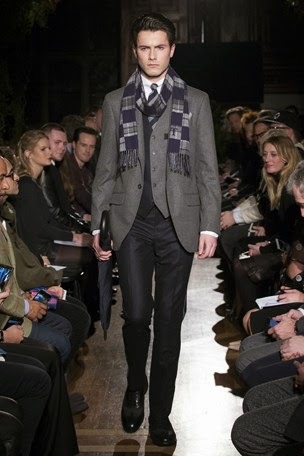 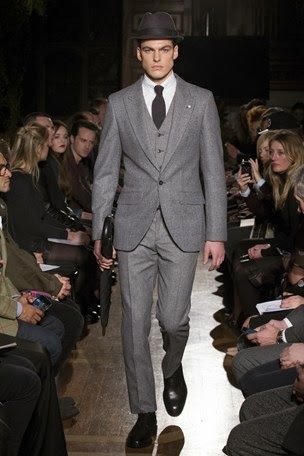 Hackett London mesmerizes with a dreamy and opulent collection of sharply tailored clothing. 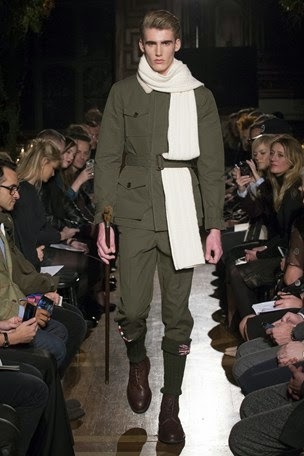 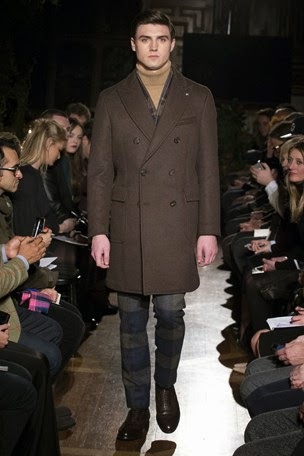 The colour palette was neutral and masculine, but the styling was what made the collection stand out. 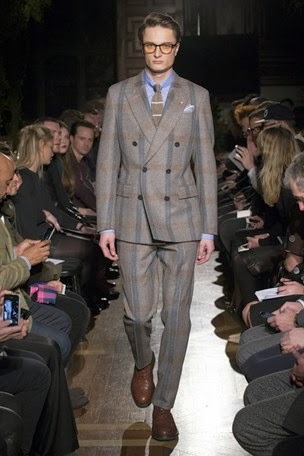 Some of my favourite pieces included the first full suit showcased (checkered), the military inspired head to toe olive green look and the extremely dapper finale outfit!